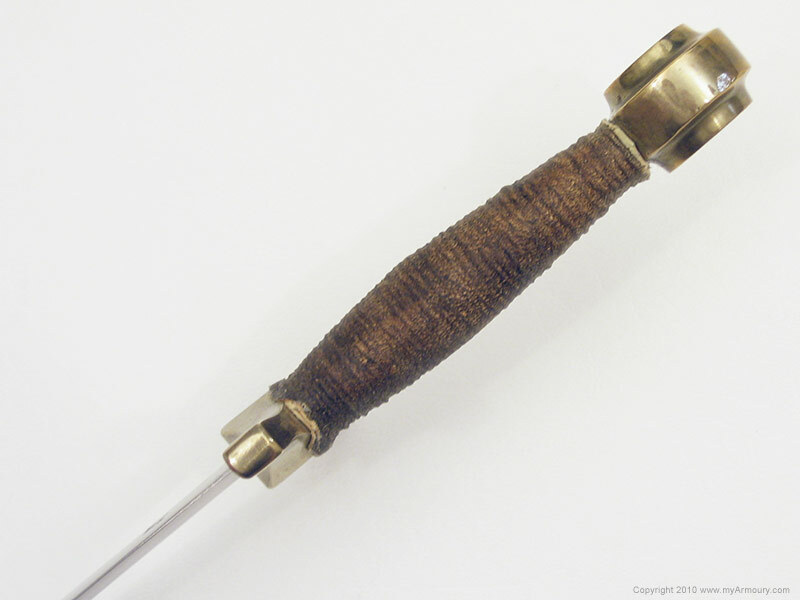 Of all the major forms of daggers during the High Middle Ages, including quillon, baselard, ballock, rondel, and ear daggers, cruciform quillon daggers seem to have lagged somewhat behind the other forms in popularity based on period iconography. 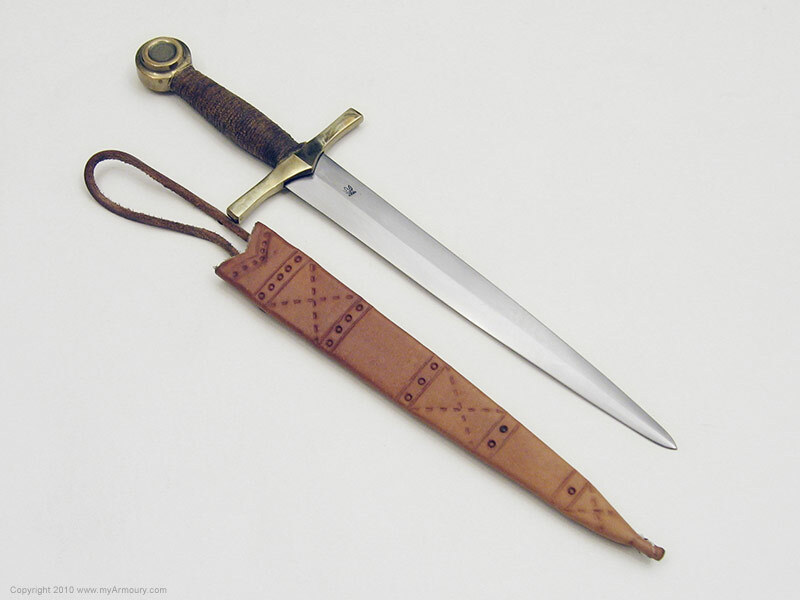 Nevertheless beautiful examples of these daggers, built like small versions of swords, exist from bygone days and recreations of them are popular with collectors. 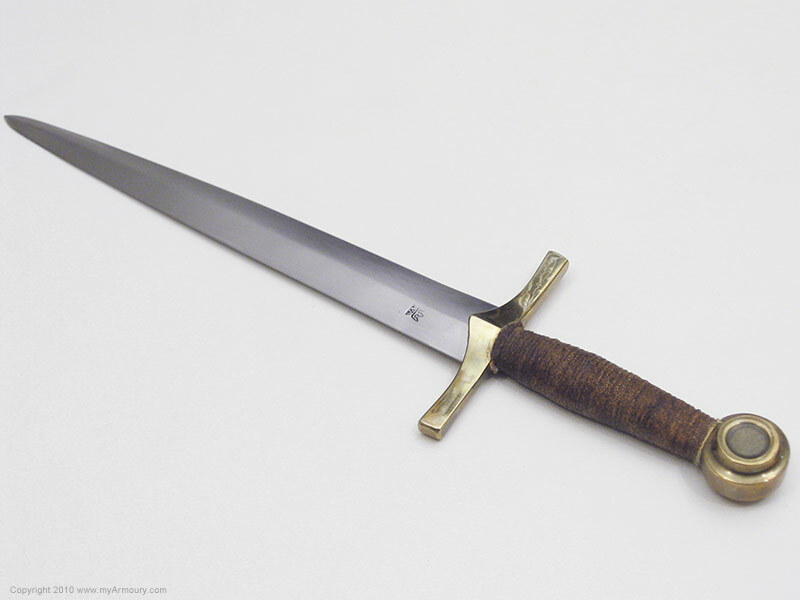 This dagger is a hybrid of two items from Arms & Armor's catalogue. 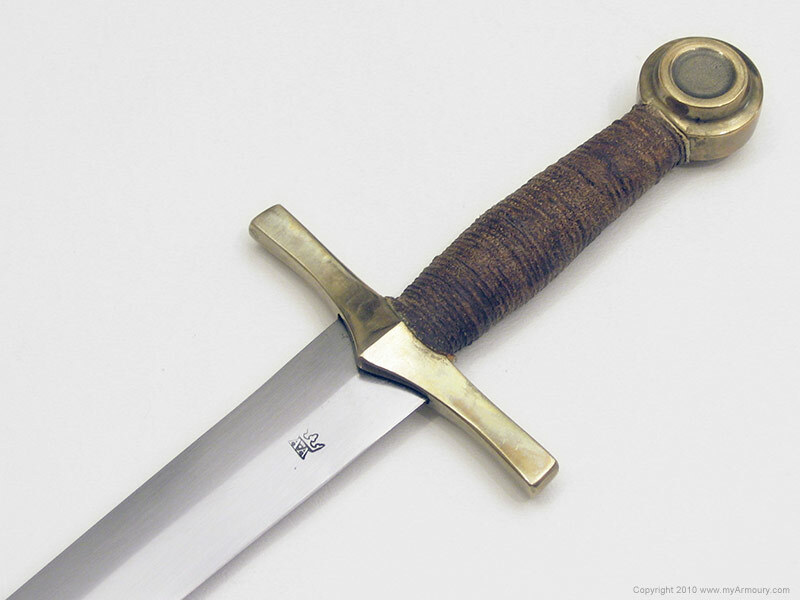 The blade, grip, and pommel are from their Classic Medieval Dagger, which is how this piece began its life. The guard is from Arms & Armor's Crusader dagger and the combination of these parts makes it very appropriate to fit into a 14th century kit. 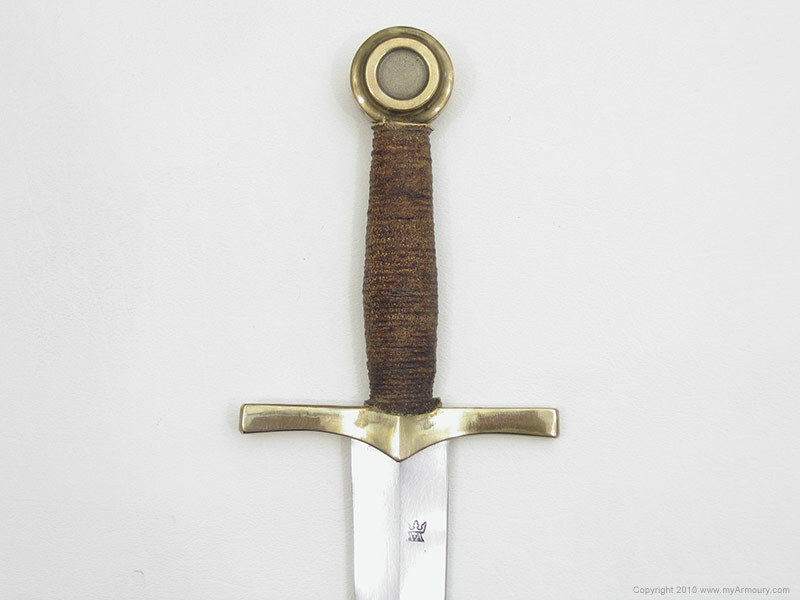 A very similarly hilted dagger (though with a narrower cross), dated to the 14th century, resides in the Guildhall Museum in London. 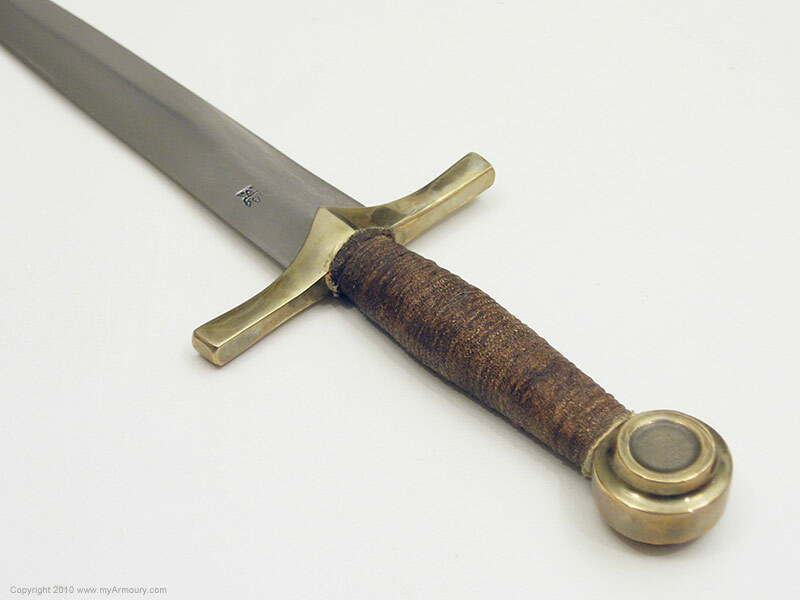 The steel blade was made a number of years ago and bears the mark Arms & Armor used to give their blades: a double letter "A" surmounted by a crown. Both pommel and guard are bronze. The grip has been rewrapped with leather over cord by myself. 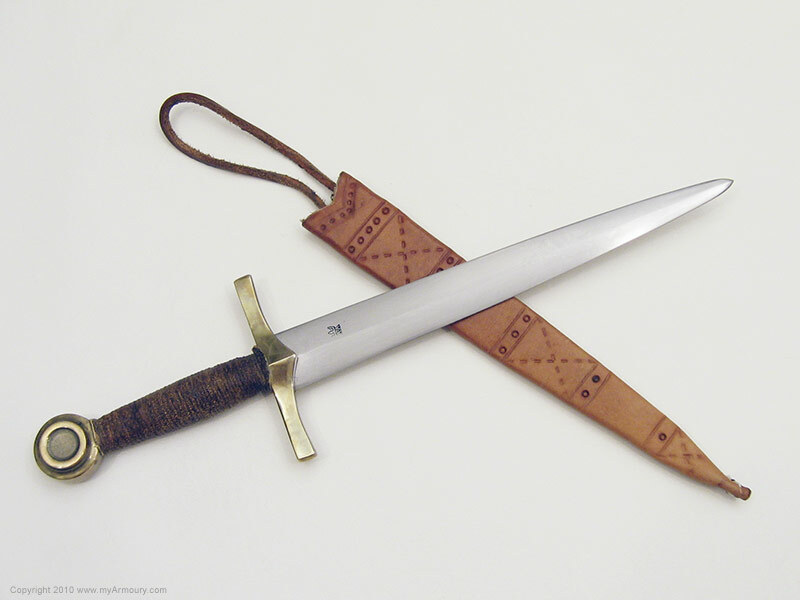 The sheath is also by Arms & Armor and is a customized version of their standard leather sheath. 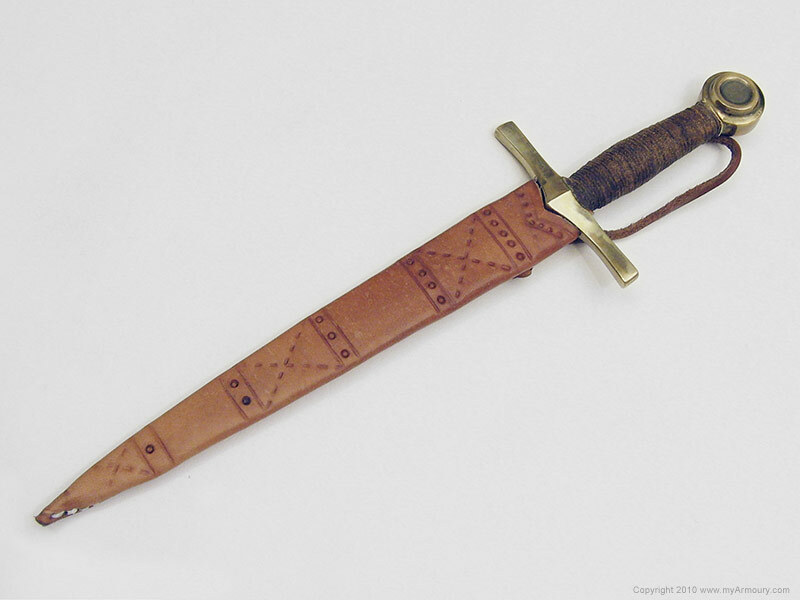 Drawing inspiration from examples in the book Knives and Scabbards (Medieval Finds from Excavations in London), the leather has been tooled with period designs. Blade: 9" long; 1.2" wide tapering to .5"